In today’s global economy, diverse doesn’t even begin to describe the average customer base. And thanks to VoIP telephony, it’s easy and affordable to reach international customers. But, advanced communications technology doesn’t make it any easier to communicate with customers when there is a culture or language barrier. At AVOXI, we understand. Our customer base includes businesses located in the United States, China, and everywhere in between. As a result, our Customer Support department has deep experience working with and supporting international customers. For this post, we called upon the expertise of our Customer Support Supervisor, Ariana Wharton, and one of our Customer Support Representatives, Gabriella Haynes. Read the interview below to get some of their best tips for supporting a global customer base. 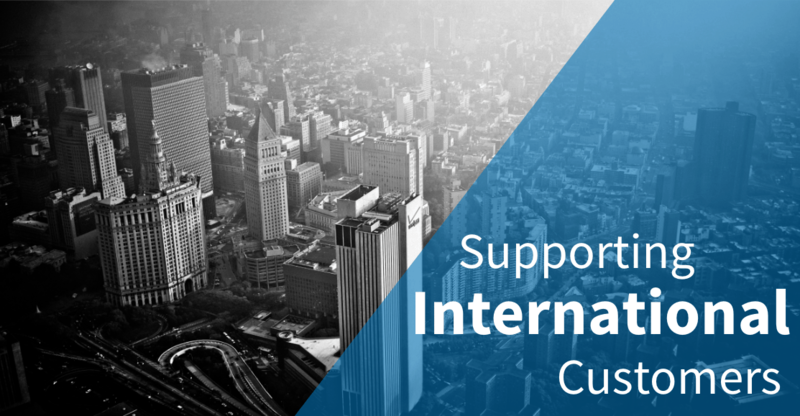 What is the biggest challenge you face when it comes to supporting international customers? Wharton: For me, the biggest challenge is really the language barrier. And unfortunately, it’s hard to avoid because our customers come from so many different regions. Haynes: I agree. And it’s especially difficult when they come in on the live support chat. It can be difficult to communicate in real time with a language barrier when you’re just typing back and forth. I usually end up calling the customer anyway at that point. What helps you communicate effectively in spite of a language barrier? Wharton: If there is a language barrier issue over any text-based medium, like chat or email, I usually copy and paste the text into Google Translate to see if I get an idea of what they’re trying to say. If it’s over the phone, we do a few different things. One technique we use is to repeat the customer’s request back in one or two different variations to make sure we understood correctly. Haynes: That definitely helps. I’ve also found that it is important to be as descriptive as possible. In a lot of cases, our customers use different terms than we would to refer to basic VoIP features. Instead of assuming that they mean what I think they mean, I usually repeat the request back in terms of functionality, or what they’re trying to accomplish. Wharton: I think another good tip for overcoming a language barrier is to ask the customer to communicate the end goal. We get a lot of requests where customers want us to repoint a number, or change something on an extension – but those things won’t fix what they’re trying to really accomplish. Do you face any challenges around cultural differences? Wharton: I wouldn’t say that cultural differences are a challenge. It’s just that we’re always learning more and more about our customers and what communication techniques work best for them. Haynes: That’s true. One of the biggest things I notice is the difference in attitudes about self-service options. A lot of our US-based customers don’t call in for support; they just want to be able to log into the Online Portal and handle changes on their own. We get requests for information, but not necessarily changes to their phone numbers or accounts. Wharton: Yes, and some of our customers based in Asia prefer to have us remote in and make changes. It’s just a trend, and it certainly can’t be applied to every customer located there. But, it helps us anticipate customer needs and preferences. What would be your advice to someone who’s just starting as a Customer Support representative for a company that serves international customers? Wharton: Be patient – the customer is being patient with you! And I would also say be careful about how you say that you can’t understand someone. If you just say “I can’t understand you” and that’s that, it can make customers feel like you just aren’t listening. But if you say “Can you speak a little slower – I’m having trouble hearing you,” or even “It’s noisy in the background – I’m having trouble hearing you,” it’s better. You’re being genuine, and you’re making it clear that you want to understand them and be as supportive as possible. Haynes: Agreed. No matter what language you or your customers speak, they understand that there is a language barrier, and they will genuinely appreciate the effort that you put into serving their business needs. Sometimes they can tell we’re pulling from Google Translate, and that’s fine. They see the real effort and the fact that you’re working to meet them where they are.